Another week has flown by, closing the first two months of the year and bringing us to March, one of the most exciting months for electronic music. As Steph mentioned last week (and as I am sure you all know), the Winter Music Conference will be upon us shortly, which means artists are pulling out all the stops in preparation for one of the biggest events in the industry. This week The Club will again focus on electro and progressive house, along with a grab bag of random tracks and a few mixes we felt went above and beyond the call of duty. 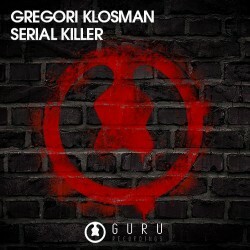 Gregori Klosman, the Parisian behind “Minibar” and that unforgettable “Follow Me” remix, must be uncontrollably amped for his most recent solo production, “Serial Killer” Not only does the track mark the first release off his new label Guru Recordings, but it has already broken into the top 50 electro house tracks in just a few days. On top of this Klosman and Bassjackers just finished “Flag”, a collaborative project that hopefully will be released shortly. If my hunch tells me anything, it’s that this track will soon be a staple in sets worldwide. Miles Dyson, who often works with one of my favorite labels Plasmapool but has now introduced me to Funky Element Records, delivers a stellar electro house remix of DANK’s originally-dubstep “Blow Me”. Of course the drops are deep and the beats hard, yet the best thing about this version comes from a reworked melody and piano line that squeeze between the insanity. Off the Toolroom Records Miami 2013 compilation comes Funkagenda’s newest single “Blacklight.” Brooding, with an undulating bass beat, the track also features a unique synth melody that also carries a bit of hi-hat. You’ll find the British DJ and producer playing a handful of shows in Europe before heading stateside for Ultra. 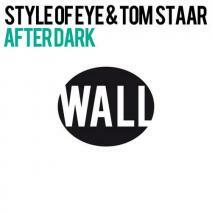 You never know what to expect when two rather different artists come together on a track, in this case the energetic Tom Staar with the relatively tech Style Of The Eye. However, the two have pulled off a hit for Afrojack’s Wall Recordings: an upbeat adventure with a mesmerizing last climb known as “After Dark”. Next week will see Staar’s remix of “Monkey See Monkey Do” drop and Style Of The Eye performing with Swedish House Mafia. Now for a mish-mash of tracks, ranging from trance to tech house to everywhere in-between. 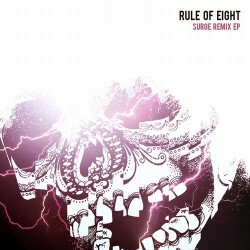 Speaking of in-between, Wuki’s remix of “Surge” felt impossible to sink completely into one genre, making it the perfect feature for this section. Complete with layers of percussion and syncopation, the track also wins on account of surprise drops into 8-bit glory that transport me back to 1995. I have a feeling the sample comes from Computer Blue’s “Game Boy”, though you never know with these chip-inspired tunes. We all have our preferences for music, and, to be honest, few tracks tear me away from electro/progressive house. 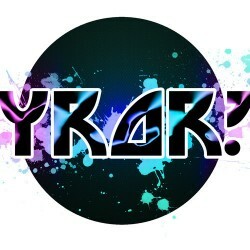 However, all genres have their merit, and this mix from Melbourne's Rory O'Brien (aka YROR?) couldn't be more a more perfect example. Normally the young artist delivers stomping sets filled with hard-hitting tracks that showcase Melbourne's robust electro house scene. But his most recent mix offers a kind of minimal, bouncy, biting, and definitely not traditional, that I really enjoy. Put this on after the show when the party is still bumping. Nice edition of The Club! Loving all these picks! wow the club is back. Some hard hitting beats.